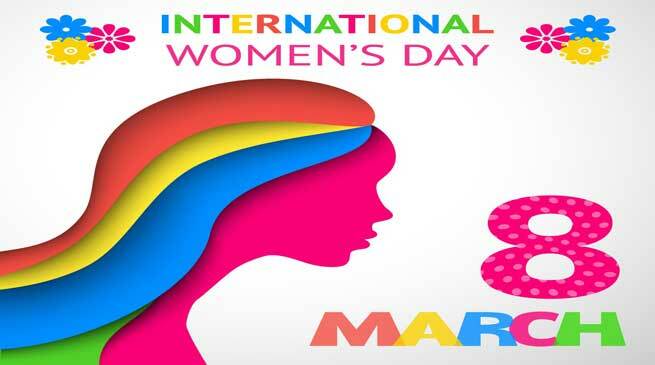 Chief Minister Pema Khandu has conveyed his greetings to women of all ages and occupations on occasion of International Women’s Day (IWD) observed globally on March 8 every year. In a message on eve of IWD, Khandu underscored the importance of the contributions made by women in a progressive society and asserted that their role in every field is no less than their male counterparts. In fact, he said, they have proved their mettle far better than men in many fields. “As we celebrate this day in recognition of achievements made by our womenfolk in social, economic, cultural and political fields, let’s call for accelerating gender parity and women empowerment,” he said. Khandu extended his support to this year’s IWD Pledge For Parity campaign. “As per the campaign our government is also committed to help women and girls achieve their ambitions; challenge conscious and unconscious bias; encourage gender-balanced leadership; value women and men’s contributions equally; and create inclusive flexible cultures,” he asserted. “Let this day be a reminder for all of us to recognize the role of women and make them equal partners in policy formations and decision makings. Not only March 8, let every day be a day towards achieving gender parity in all aspects for a better and healthier world,” Khandu added. Meanwhile, Khandu congratulated legislator Tumke Bagra on his appointment to the prestigious post of Deputy Speaker of the Arunachal Pradesh Legislative Assembly. The Chief Minister expressed hope that with his long and illustrious career as a technocrat and bureaucrat, Bagra would deliver justice to the prestigious post and with his wisdom and knowledge guide the state Legislative Assembly towards excellence.